Harrison Ford returned to 'Star Wars: The Force Awakens' so he could work with filmmaker J.J. Abrams. The 73-year-old actor - who is close pals with the movie's director - jumped at the chance to star in a film led by the sci-fi buff, 49, and was also swayed by his character Han Solo's relationship with new young stars Daisy Ridley, 23, who plays Rey and John Boyega, also 23, who portrays Finn. Asked what brought him back, he said: "I think it mostly lay in the telling of the stories of his relationships with other characters in the story. And the part he plays in the progression of the story, mostly through his relationships with the new young actors - Daisy Ridley and John Boyega principally in this new story. "And it had to do with the opportunity to work with my friend J.J. Abrams, whose work I have admired for a long time." 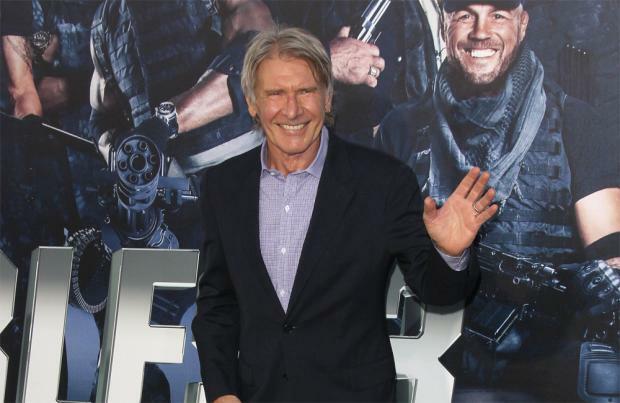 Elsewhere, the 'Indiana Jones' legend - who hasn't played Han Solo in more than three decades - said he didn't rely on "nostalgia" for his part in the forthcoming flick. He told BBC News: " I don't think nostalgia is very useful to me. There is a story to be told, there's behaviour to create or to bring to the screen that will help tell that story, and nostalgia is just not really a big part of my emotional package anyway."